Thank you to all who came to the workshop in March. Big compliment on your mindfulness and deep concentration! Well-done! 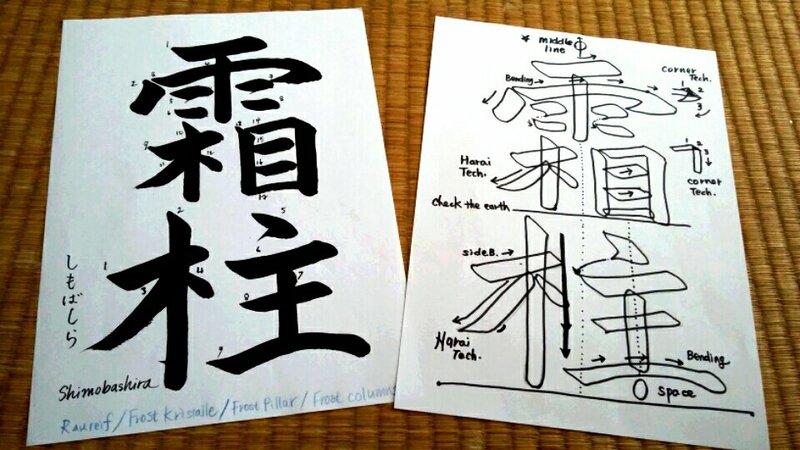 I am happy to meet such beautiful minded people and to show them the Art of Japanese Calligraphy. No more winter texts for us! Spring is here! I wish you all a wonderful new year 2018!! It is the year of the ” Dog ” in zodiac calendar. Let’s hope the year of the dog will bring us some Harmony and Peace. 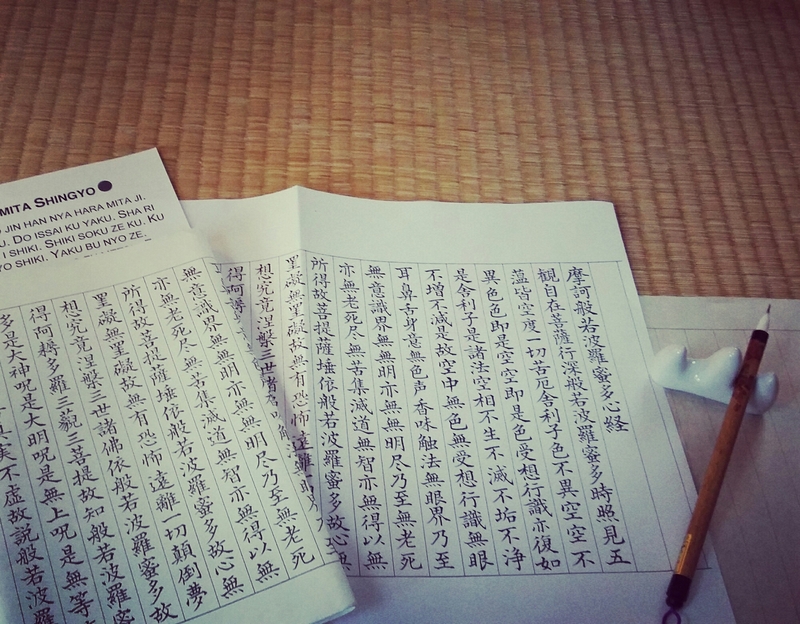 Are you already enjoying your Shodo practice in a warm cozy room with some candles on?! 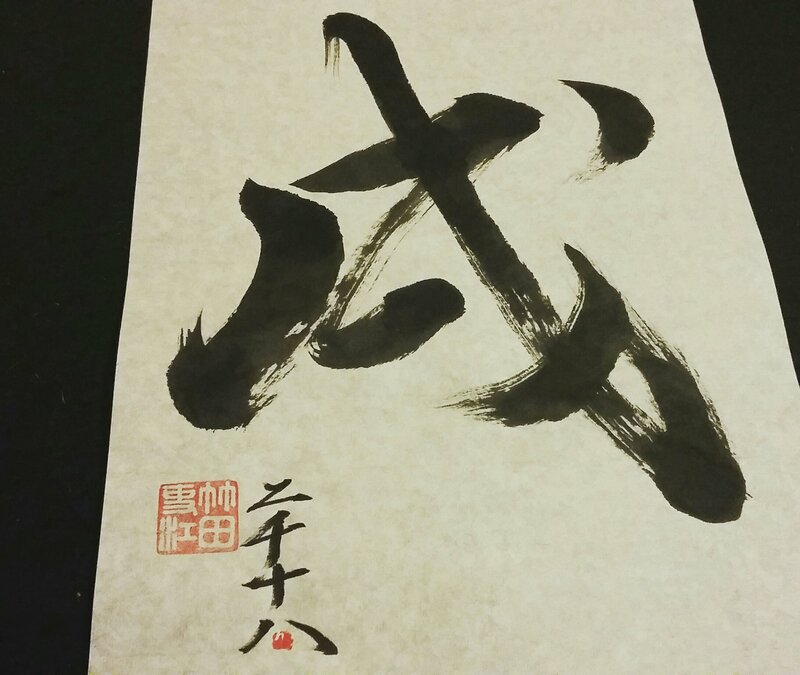 When it comes to practising Shodo, Autumn and Winter seasons are great for us to refind a inner silence and develop a deeper sense of mindfulness. Today I post a perfect seasonal Otehon for here and now. 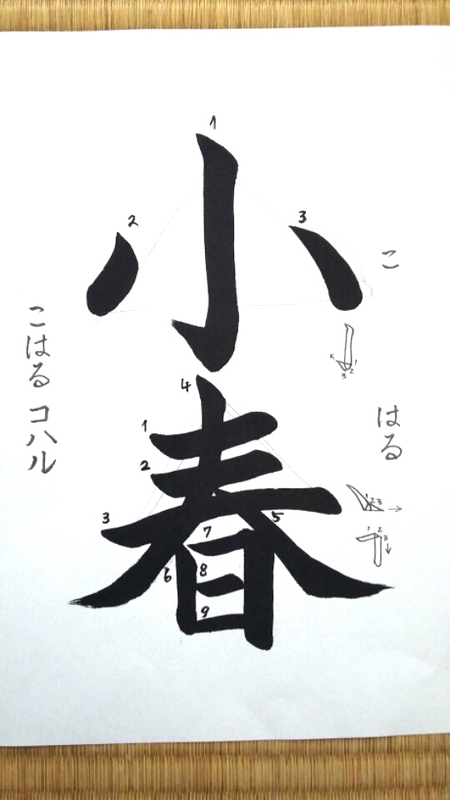 – left Harai technique, always wait for the cursive point. I hope you are enjoying the beautiful Autumn colours. 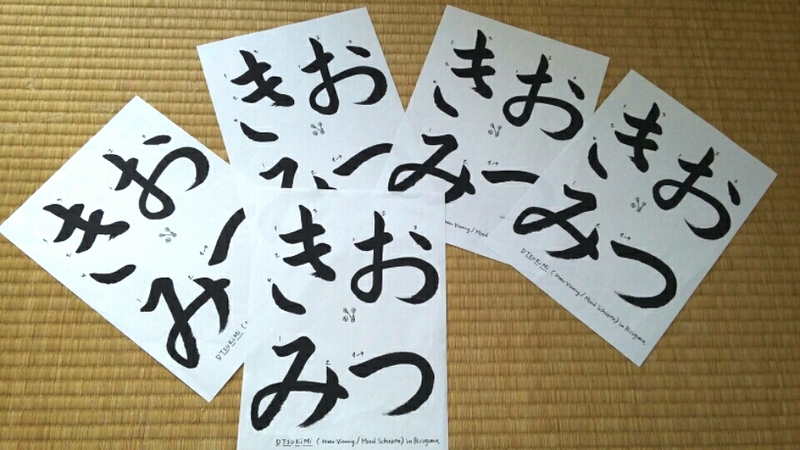 I would like to update a new Autumn text in Hiragana. 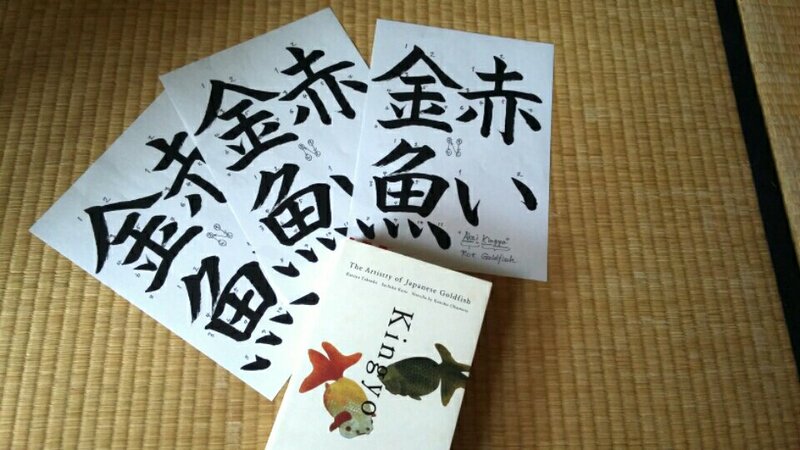 It is suitable for the beginners and those who are eager to brush up Hiraganas. – For medium to big brush, both hard and soft. 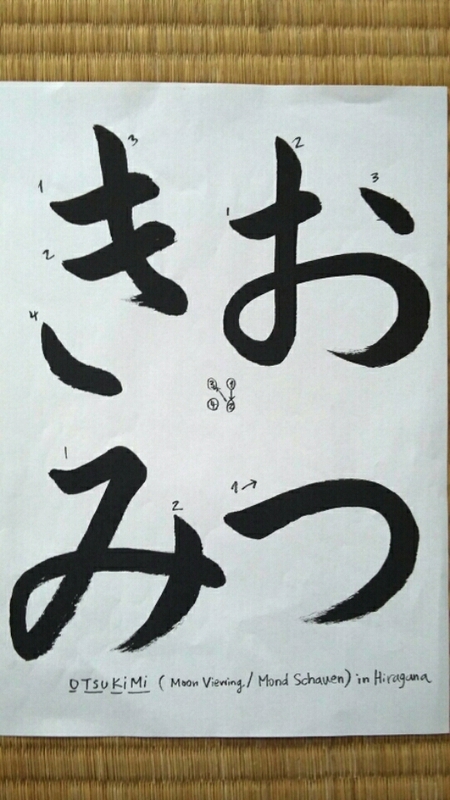 – Loads of Nuki* Slide out techniques in the text, so the warming-up practice with spirals recommended. 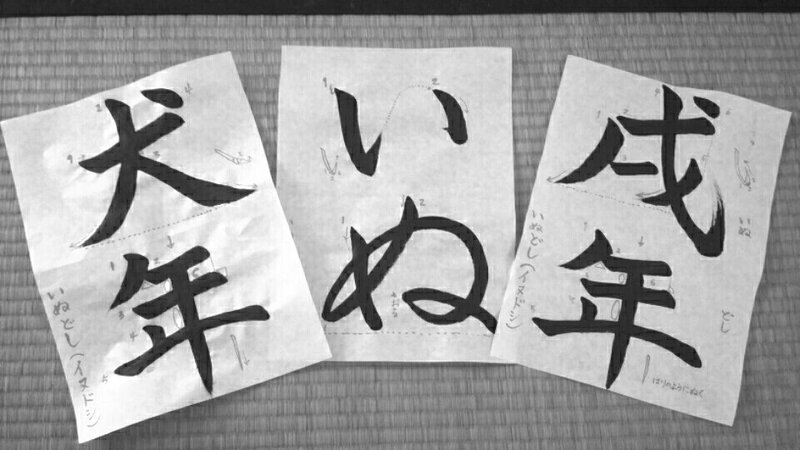 – For Hane*jumping technique, make sure you do the 1*2*3 movement with your brush. 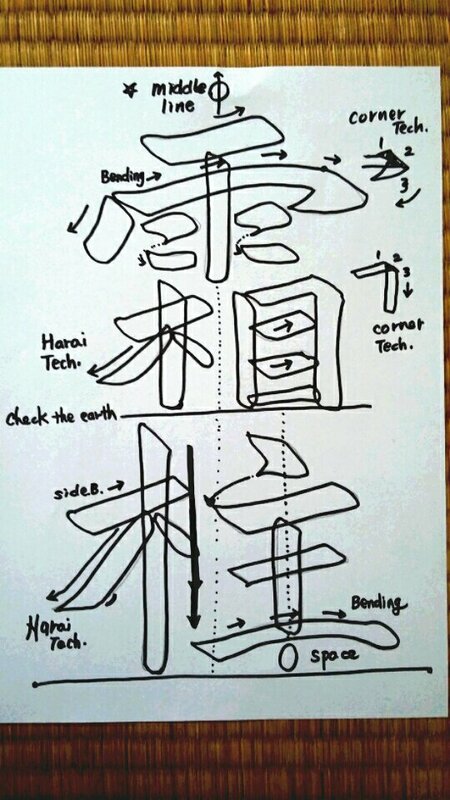 Movement 2 ; Preparation~ you open the hair of brush little bit. 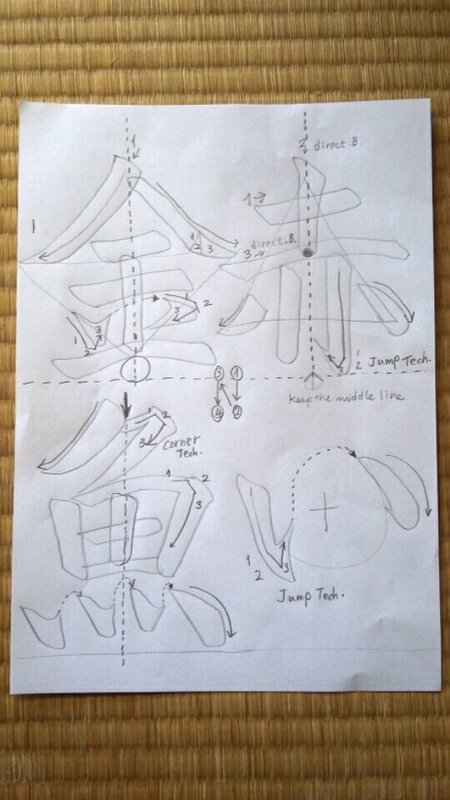 Movement 3 ; To jump ~ you pull the energy up through your naval and slowly proceed to jump. 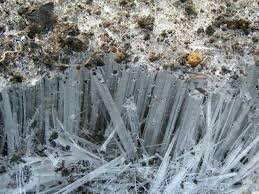 – Make sure you are able to imagine the clear picture of the moon you like and an extra feeling for that moon. 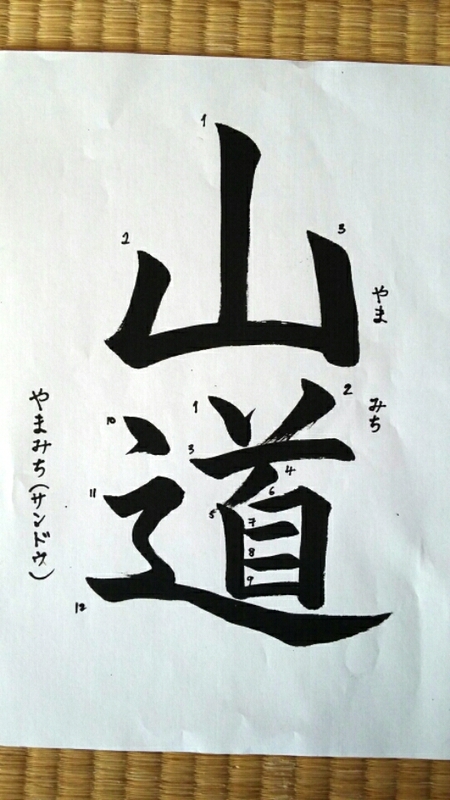 – Kanji for that text is; “お月見” or “月見”, you can drop the お.
I hope you are enjoying these hot sunny days! 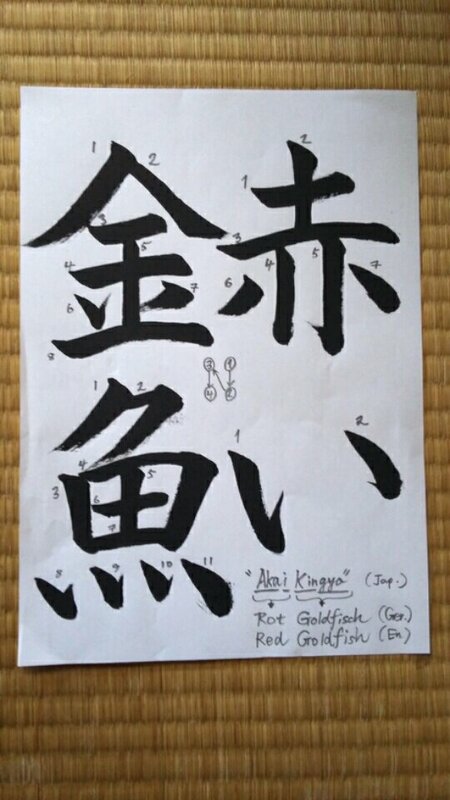 Are you brushing up your calligraphy skills?! Or doing more stroke-practice?! 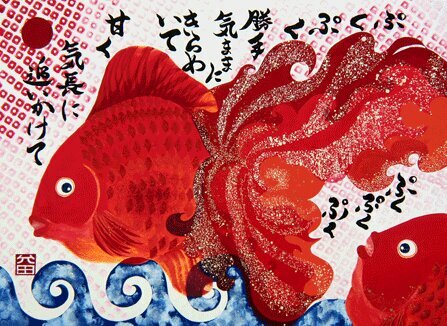 Before the summer holiday ends, I would like to post an Otehon for the month of August. The summery text you can not avoid …. Please check all balance lines, composition frames and some tips above. Recommended brush size is the medium to the big. Both hard or soft haired are suitable for this text. Do you enjoy watching the winter stars?! I love the winter stars..they look bright, clear and so beautiful. This Otehon is perfect for our cold icey evenings. The direct translation is like.. 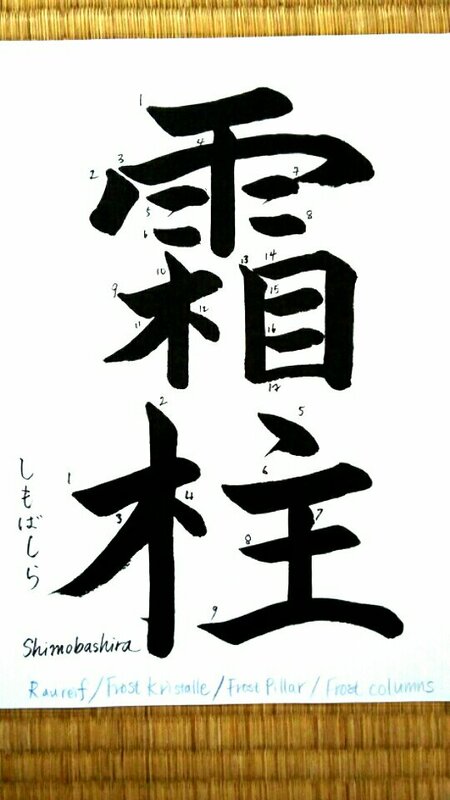 This Otehon consists of four letters. -if you are beginner, make sure you practised already jumping, corner, slide-out techniques at least a few hours. 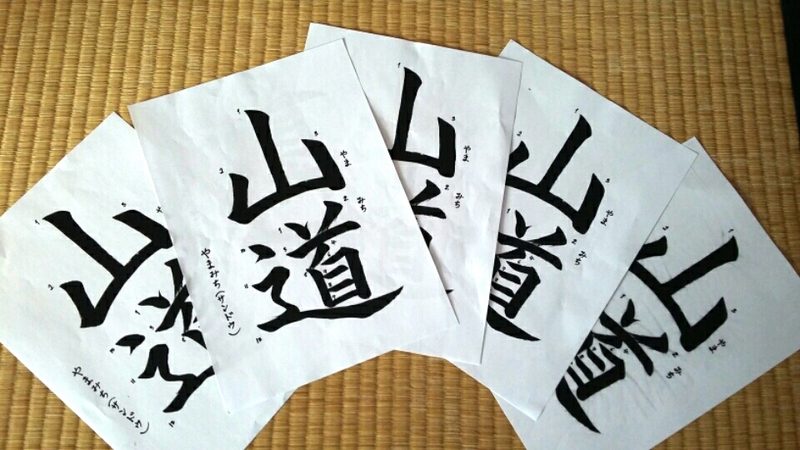 *Above: A Kanji ” Star ” in Sanshotai.